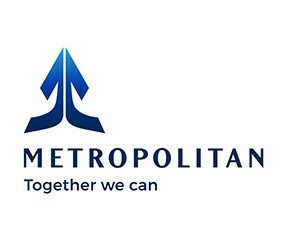 Metropolitan has partnered with the Young Entrepreneurs (YE) Foundation to teach financial literacy and entrepreneurship to high school children from disadvantaged communities. YE was originally founded by Danie Jacobs, who started his first business at the age of five, selling his watercolour paintings for 10 cents each. A born entrepreneur, Jacobs set up several businesses and initiatives over the course of his career, including the Centre for Business Dynamics at the University of the Free State. However, it was being a parent and realising that the world of work is changing to such an extent that unemployed graduates are the norm and not the exception, that prompted him to launch YE. YE offers a programme developed by local and international professionals and utilises hands-on activities, games, simulations, videos and online applications to teach real-life business and money lessons in a fun way. The 30-week long programme comprises 15 weeks of entrepreneurship training and 15 weeks of financial literacy. “The earlier in life that young people are exposed to this type of education, the greater their likelihood of financial wellness later in life. This, in turn, leads to a lesser chance of them repeating the financial mistakes of their parents,” adds Metropolitan CSI Manager, Elsie Govender.